Graham Pest Control provides ant control services, including treatment and prevention of ant pest problems for domestic and commercial customers in the Dundee and Tayside area. We have plenty of experience carrying out ant control safely and efficiently, and we can use a variety of pest control treatments depending on the situation. Whether your ant problems are indoors or outdoors, our professional technicians are trained and equipped to control ant infestations in a number of ways, for both domestic and commercial customers. Ants are a problem pest in the spring and summer months with worker ants scavenging for food. The most common of the ant invaders is the Black or Garden Ant Lasius Niger which is attracted by sweet food sources, which it takes back to the nest. Their nests are commonly found in your garden lawn, underneath paving stones or against a wall. Garden ants will normally stay happily in your garden but in spring time or during dry summers, which don’t happen often, the vegetation may not have enough sweetness so they venture indoors. A good clean-up to remove the food source should normally solve the problem but if you witness a constant trail of ants in and out of your property it may be time to call Graham Pest Control to eradicate the problem. Garden ants can normally be treated in one visit and our Technicians can be with you within one working day at the latest. Other ant species such as ghost ants (which have dark heads and pale translucent body) or pharaohs ants (which are yellow or brown in colour) can be more troublesome to eradicate and require professional ant control to ensure that these infestations don’t get out of hand. 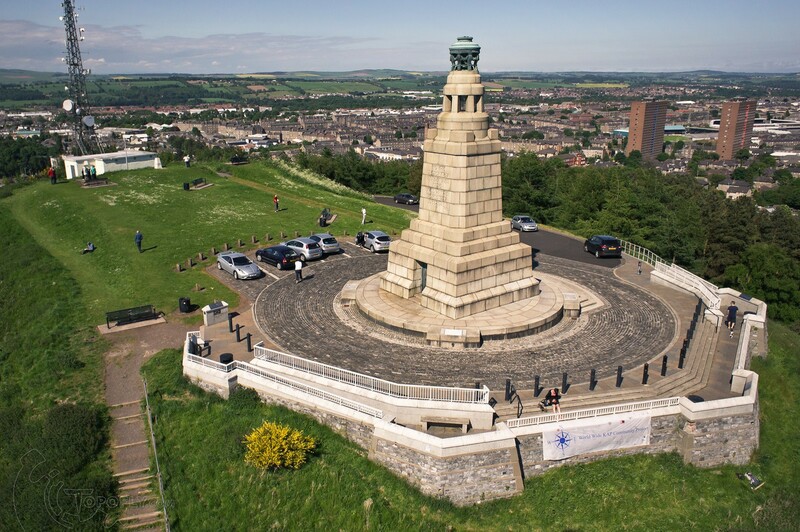 The Law Hill is the best place to get a scenic view of Dundee, the city of discovery. It’s a vantage point that gets thousands of visitors annually both locals and tourists who marvel at the city views and across the Firth of Tay to Fife. From such a vantage point it could be said that the people below look like ants?